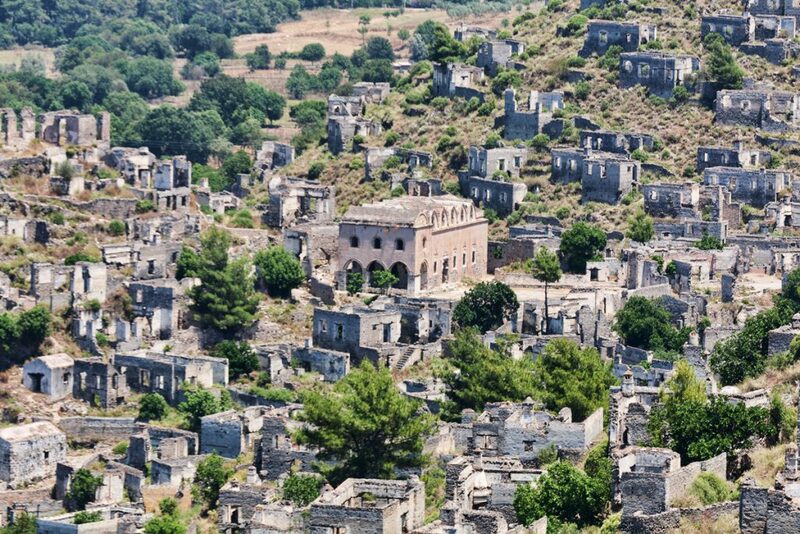 Completely abandoned since 1923, the town of Kayaköy is only five kilometers (3.1 miles) west of the tourist haven of Hisarönü, but people rarely visit it. Hundreds of stone houses slowly give into dilapidation in the hot sun, while a story of abandonment awaits to be discovered. 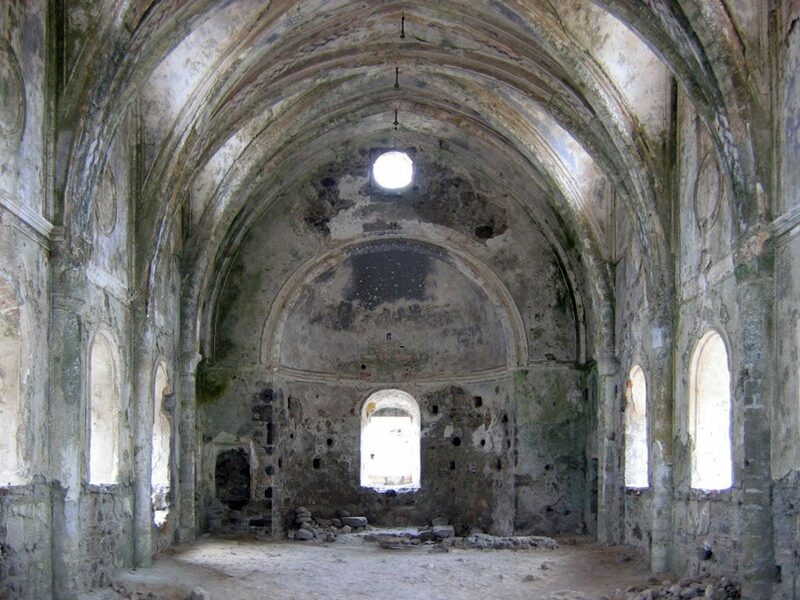 Once known as Levissi, the abandoned village of Kayaköy was once home to around 10,000 people, including Anatolian Muslims and Greek Orthodox Christians, within a thriving and harmonious community. With origins in the 14th century, Kayaköy was forcefully abandoned at the end of the Greco-Turkish War when a population exchange meant that Muslims and Christians were exchanged between Greece and Turkey so that each country could claim one major religion in the path toward ethnic and national homogeneity. As such, Levissi became Kayaköy (Rock Village) when the more than 6,000 Christians suddenly left, leaving only their beautiful stone homes and churches behind. In general, the exchange uprooted around 200,000 Greeks and 300,000 Turks who had to acknowledge a brand new place of settlement as organized by the Nobel Prize-winning Norwegian scientist Fridtjof Nansen, whom the League of Nations assigned to the task. Back then, the former residents of Levissi arrived in Greece and soon settled in an area around 40 kilometers (24.8 miles) from Athens that reminded them most of their former home. The newly arrived Muslims from Greece, however, did not inhabit Kayaköy because of its hillside location, which they found too remote. By 1957, a large earthquake also took its toll on the beautiful yet abandoned town, causing major damage to the buildings. Left untouched, the hillside homes, schools, chapels, churches, shops, and cafés continue to stand today as if to protest their abandonment, although weak from the natural elements. Having gained museum status through the Turkish Ministry of Culture and adopted by UNESCO as a World Friendship and Peace Village, Kayaköy has made some headway, although its state continues to crumble. 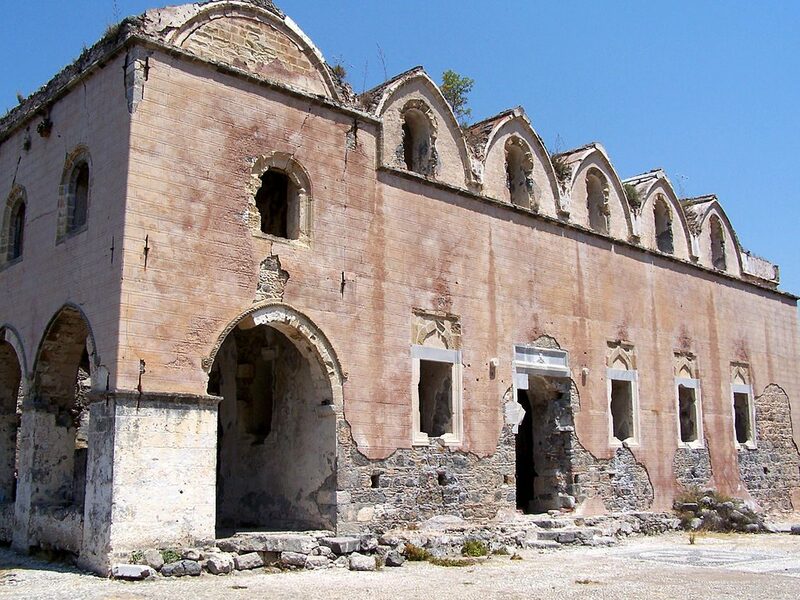 One of the most poignant reminders of the village’s thriving past is the Kato Panagia Church, in which faded frescoes and vaulted ceilings and arches tell the story of another era when the structure exuded the glory of faith. Even though the museum village appears ancient due to the effects of harsh winds and winters, its sorrowful story and mysterious, ghost town atmosphere continue to make it an inspiring find for adventurous hikers. Even British novelist Louis de Bernieres used a fictionalized version of the abandoned village in his novel Birds Without Wings, which takes place during WWI and the last days of the Ottoman Empire.